Programs developed in Java may not be as easy to install as traditional EXE files. 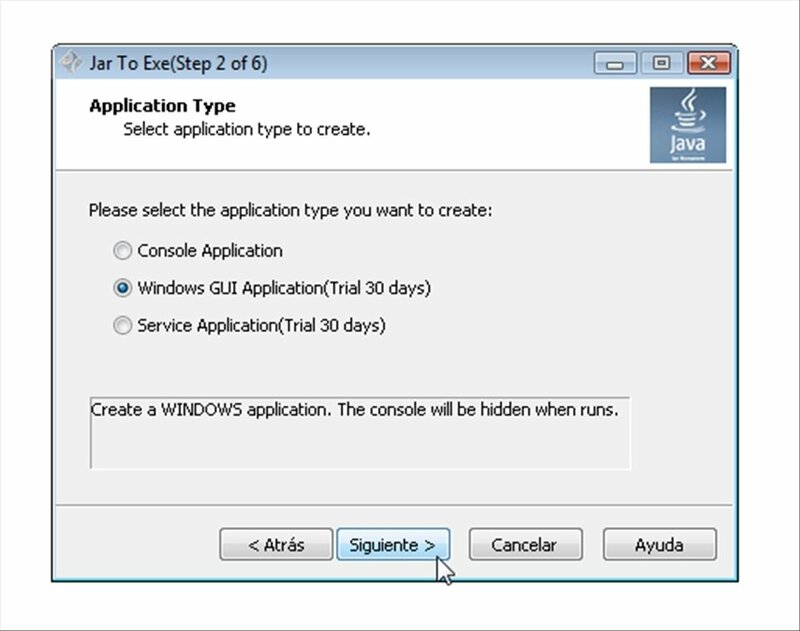 That is why Jar to Exe offers you a simple way of converting Java files to binary executables both for Windows and Linux. 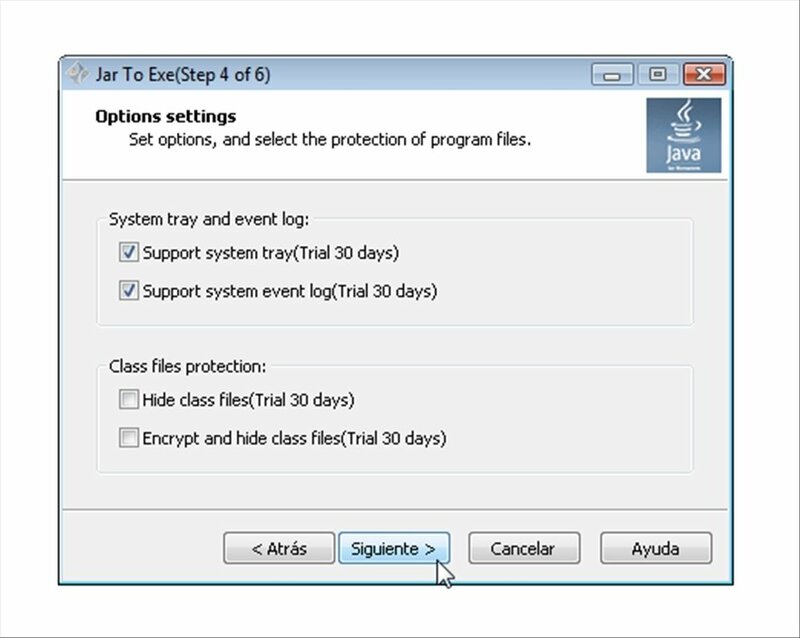 Envelop, launch, protect and enhance Java programs as binary files. Locate the Java file and indicate the minimum and maximum Java version required. Choose if it is a console application, if it has an interface or if it's a service. 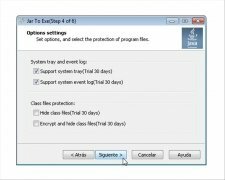 Select the program's original function. Add other dependent files if necessary. Choose the name, the icon and the output folder. With Jar to Exe it will be much easier for you to open files with .jar extension, but also to protect the extraction of code class files and even to improve their general performance. 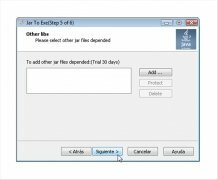 Work with Java files as if they were simple executables in EXE format. 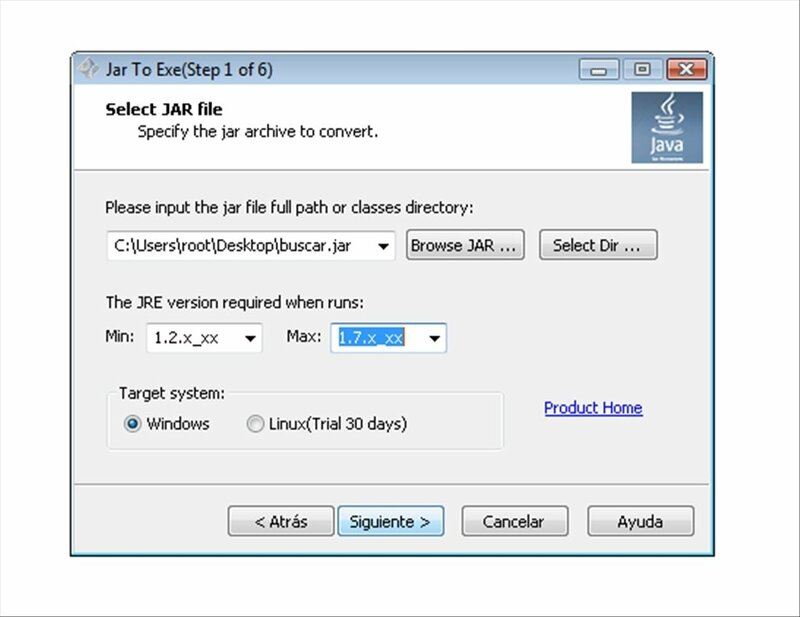 Maybe you can't download Jar2Exe for free, but it's really worthwhile.